The drip dreams are made of: at Amuse. 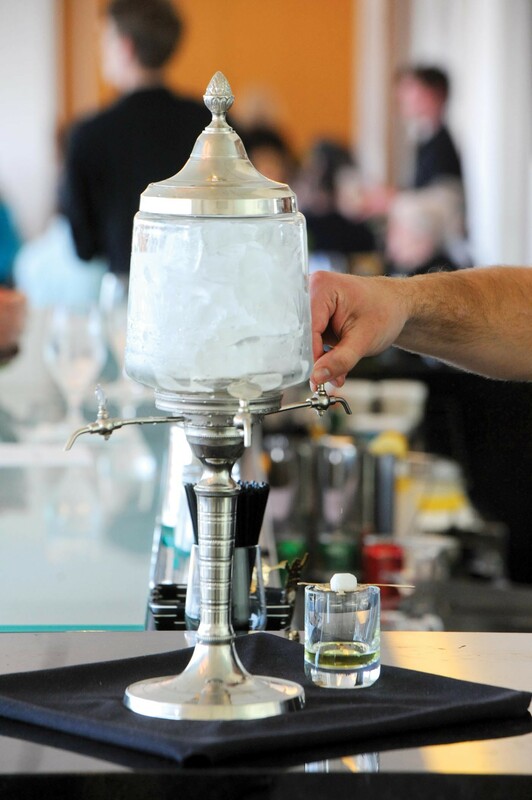 The absinthe drip at Amuse looks like a small, glass fountain with four tiny spigots. When one of them is turned on, ice water drips onto a sugar cube placed on a perforated, gold-colored spoon set atop a glass harboring two fingers of absinthe. While the sugar slowly dissolves, the oils in the absinthe's herbs are released. As a result, the clear absinthe acquires delicate clouds, a sure sign that the "green fairy" has arrived. Welcome to la vie boheme.